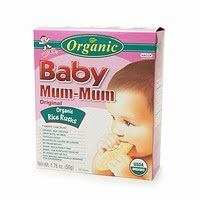 I discovered Organic Baby Mum-Mum Rice Rusks at BabiesRUs recently. We are on our second box, and Timmy is not the only one loving them. I'm not a fan of zweiback because it's made by Gerber and has a long, crappy ingredient list. If you've ever tried those organic teething biscuits, though, you know what a collossal mess they make! And they can break off in hard pieces, which makes me nervous. These rice rusks are more easily dissolved, but not as fast-dissolving as puffs. They are just the right size for little hands and little mouths, and did I mention that they don't make much of a mess!?! Best of all, they are rice. This means they are gluten-free. They have no artificial flavors or colors. No preservatives and no cholesterol. They do have a bit of "quality New Zealand skim milk powder." I'm not sweating that, but I guess if you had a kid with a super-duper sensitivity to milk, this might present a problem. They come wrapped in packs of two, in a box of 24. I have only seen the original variety, but according to their website, they also come in Vegetable and Carrot. Quite apparently, I am not their only fan. 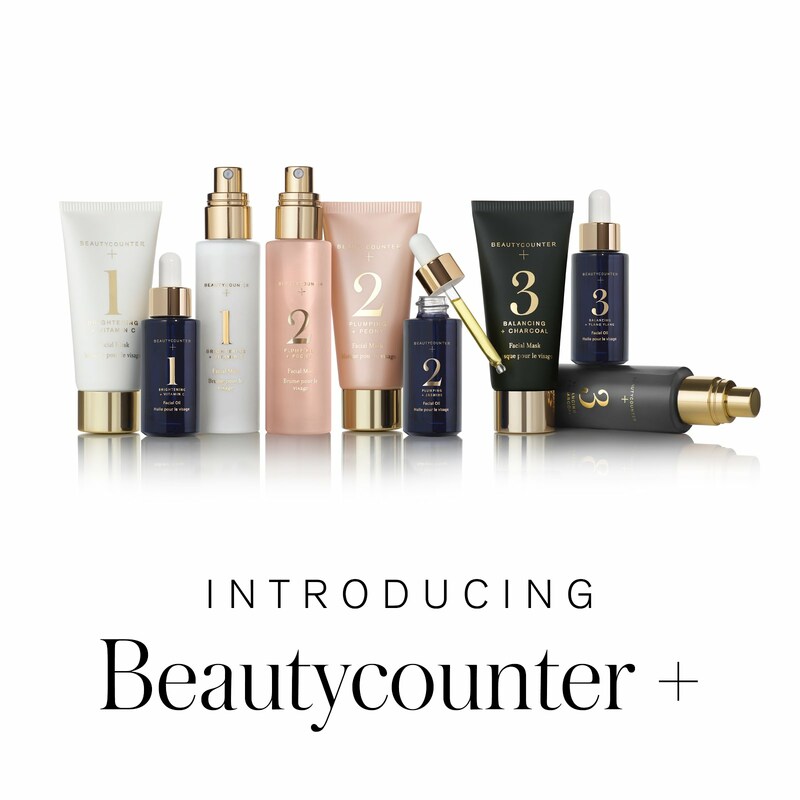 Their website lists only stores in Australia and New Zealand, but they appear to be widely available online, through drugstore.com, amazon.com and many others for about $2.99 a box. Try them and let me know what you think! I am a sweets person. I'm at peace with it. When indulged in moderation, all is well. Other than the organic agave nectar in my morning coffee, I look for (organic) cane sugar. Most of the time. Except yesterday when I was at Ollie's and saw that Pepperidge Farm came out with a very Teddy-Grahams-like version of their classic Goldfish snack cracker. In chocolate. Naturally, I had to try it. Lo and behold, they taste exactly like Teddy Grahams, which I happen to love but I don't buy because I perceive them to be unhealthy. But these chocolate fishy grahams are made with "Whole Grain" and contain "no artificial preservatives." Indeed, these babies have a whopping 2 grams of fiber per serving. Okay, well it's better than none. They do contain some hydrogenated oil -- why? Really. So, here's the rub: If you want to indulge a little chocolate graham craving, they are both yummy and there are certainly worse things you can choose. The challenge is not eating the whole bag/box at once. They are equally small and sneaky like that. The Flavrz three-pack contains Cherry Berry, Tropical and Lemon Lime flavors. I think I like them in that order. They are all delicious and convenient and definitely let you mix just the amount of flavor you want. In our household, we dilute a lot. So it's nice not to pay for water. In fact, it computes to about half the cost of other organic juices I regularly buy, with less to recycle. What's in it, you ask? Simple stuff: fruit juice, fruit extracts, fruit flavorings, sweetened with organic agave nectar -- so you get the yummy sweetness without all the calories and cane sugar of other organic beverages. When mixed according to "normal" strength, it's got less than half the calories of juice or soda. Plus, it's free of artificial flavors, colors, preservatives and chemicals. Major plus. Anyway, I had to order them online, but they are at retail in stores from Maine to the metro DC area. If you try it, let me know what you think. Cheers!